Jin Ha Lee is an Associate Professor at the Information School in University of Washington and the director of the GAMER (GAME Research) Group. 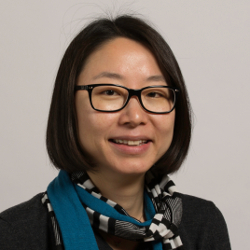 Her research interests include: music, game, and multimedia information seeking and retrieval, information organization and access, and knowledge representation. The GAMER Group explores new ideas and approaches for organizing and providing access to video games and interactive media, understanding user behavior related to video games, and using video games for informal learning. She is a recipient of the Fulbright Award for Graduate Study as well as the Jean Tague-Sutcliffe Award and the Berner-Nash Memorial Award for her dissertation research, “Analysis of Information Features in Natural Language Queries for Music Information Retrieval: Use Patterns and Accuracy.” She holds an M.S. (2002) and a Ph.D. (2008) from the University of Illinois at Urbana-Champaign.